Weaving (ткацтво; tkatstvo). Weaving has been practiced in Ukraine for many centuries. Using flax, hemp, or woolen thread, weavers have produced various articles of folk dress, towels (see Rushnyk), kilims, blankets, tablecloths, sheets, and covers. 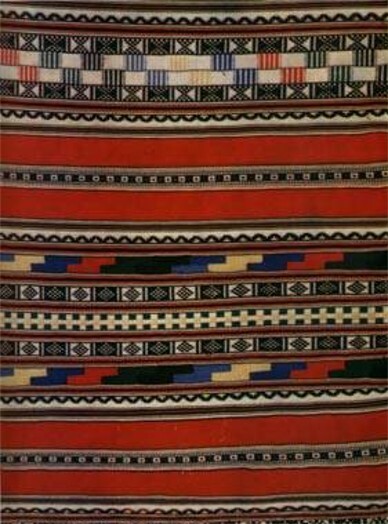 The colors, ornamentation, and even the techniques of weaving varied from region to region. By the 14th century weaving had developed into a cottage industry. Weavers' guilds modeled on Western European examples were founded in Sambir (1376), Lviv, and elsewhere in Galicia. They tried to improve weaving techniques and the quality of the products. 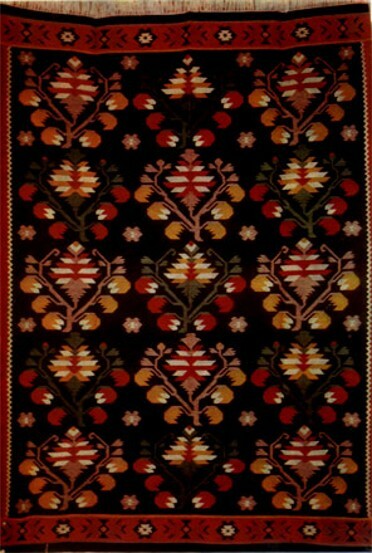 Later, artistic textiles and kilims were manufactured by small enterprises established by magnates in Brody (1641), Lviv, Nemyriv, Zalishchyky, Korsun, Korets, Kyiv, and Horokhiv. In 17th-century Left-Bank Ukraine the Cossack starshyna established similar enterprises to make decorative furnishings on order for the nobility and churches, using imported silk and gold thread. Eventually such thread was manufactured in Ukraine. Weaving manufactories flourished from the mid-17th to the mid-19th century. Their owners sometimes imported weavers from Turkey, Armenia, and Persia. Thus Oriental designs became popular in Ukraine. In the 17th century Emmanuel of Corfu (Korfynsky) established a factory for luxurious silk and gilded textiles in Lviv. 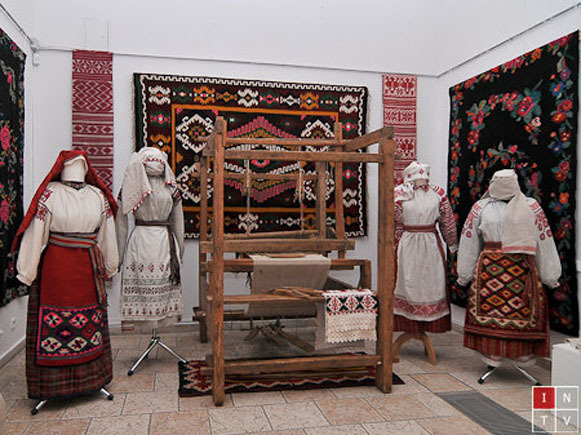 Many weavers were trained there, and they disseminated their craft throughout Ukraine. In the 18th century large decorative weaving factories sprang up in Kholm, Buchach, Brody, Sokal, Medzhybizh, and Stanyslaviv. From the 1650s on the development of weaving as a cottage textile industry intensified in Ukraine. The town of Krolevets became one of the largest centers of artistic folk weaving. Ukrainian textiles were popular abroad, where they were called ‘Ruthenian textiles’ by foreign merchants. Hetman Kyrylo Rozumovsky's factory in Baturyn manufactured a wide assortment of artistic textiles, including tapestries with floral designs for his palaces in Baturyn, Hlukhiv, and Kozelets and colorful wool cloth for the uniforms of his Cossack guard units. In the mid-19th century commercial weaving began declining. To reverse the trend and to improve the technology and the artistic level of weaving, various zemstvos created weaving schools (eg, in Dihtiari and Shylovychi, in Chernihiv gubernia) and weaving departments in technical-industrial schools. 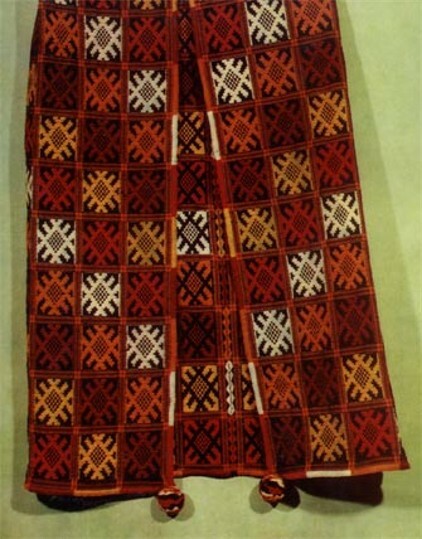 In late-19th-century Austrian-ruled Galicia renewed interest in folk-weaving techniques and designs prompted the opening of weaving schools and kilim-weaving shops in villages such as Vikno, Kosiv, and Hlyniany. To promote the merits of Galician folk weaving, exhibits of their wares were included in industrial and agricultural expositions. There they won awards and attained a reputation as far abroad as North America.